The official poster with the show's line-up performing artists. 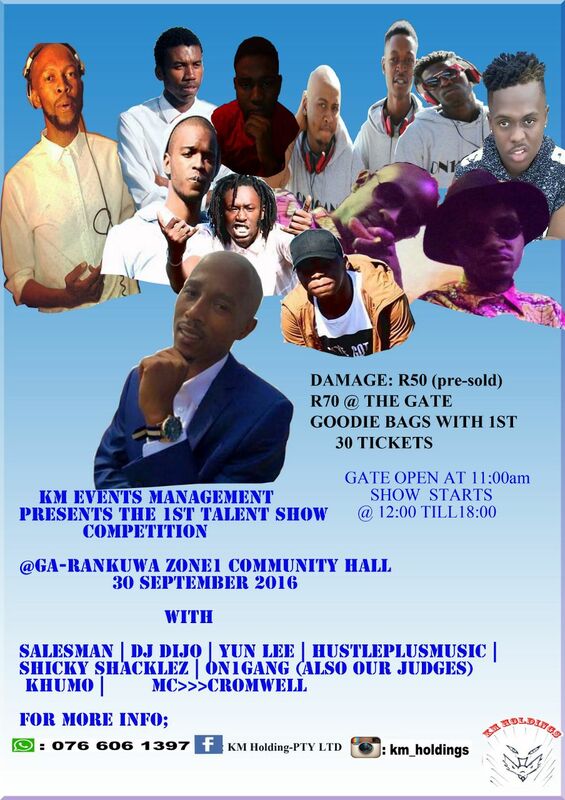 KM Events Management is launching a Talent Show Competition in Ga-Rankuwa, Zone 1 Community Hall. The project is aimed at keeping the Tshwane West District high school learners off the unhealthy habit of alcohol abuse during the end of each school term by engaging them in extramural activities that will show off their capabilities. school terms, learners tend to throw ‘pens down’ parties where they end up indulging themselves in alcohol and such behaviour can have detrimental consequences for them,” said Moatshe. Moatshe further said that learners need to be competitive in a creative way whilst learning from each other. “Learners will be competing and motivating each other to be more creative and give themselves a platform to gain reputation and be noticed by industry’s best. The venue is going to be controlled to avoid any harm that might occur to these learners” he continued. 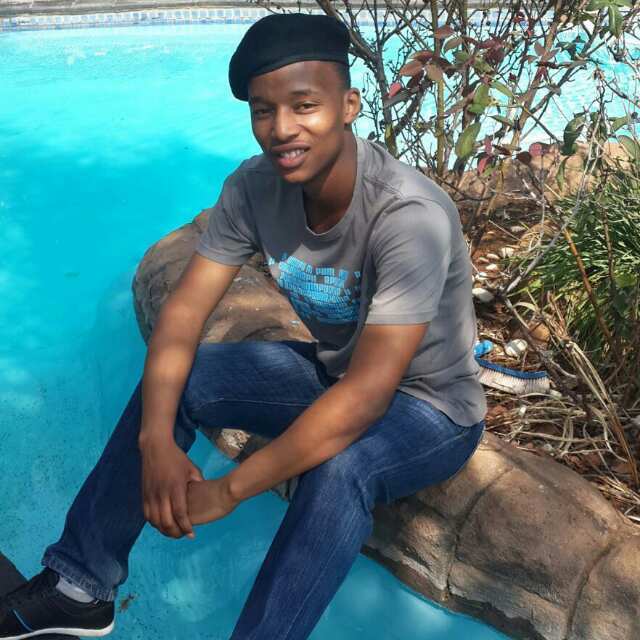 The founder and organiser of the event, Kagiso Moatshe. The talent show will require high school learners to show off their singing, dancing, poetry, rapping and any other talent they have. The competition will have a panel of judges who will unanimously crown the best out of the best and the top 3 participants will receive a cash prize and gadgets. There will also be a line-up of well-known artists to captivate the audience. Moatshe, who is organising the event is urging learners to participate and be part of this positive movement. He promises good music, fun, and ordinary people with extraordinary talent. Alternatively, you can find them on their facebook page or instagram. We are ready. It’s going to be epic.